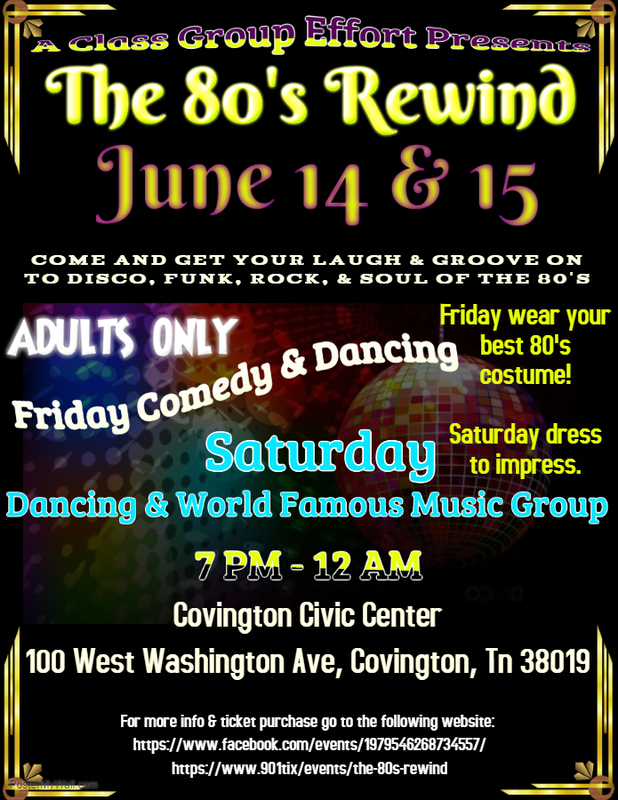 The 80s Rewind is going down in Covington, Tn on June 14 & June 15, at the Covington Civic Center. It is going to be a gigantic party for those that loved the 80s! 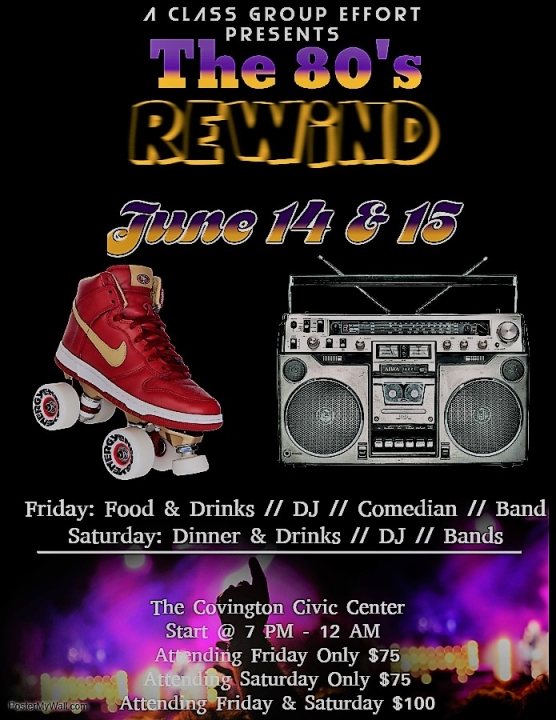 Whether you were a teenager, young adult or child born in the 80s, The 80's Rewind is the party that you do not want to miss! There will be Live Music, DJs, Comedians, Food and Drinks. Tickets are limited. Get yours today. It doesn't matter how you get here, just get here. You can show up in a Little Red Corvette, as long as you are ready to party like it's 1999. So, dust off your leg warmers or leggings, miniskirts or bodysuits, and tease up your hair, or put on a muscle shirt, or acid washed jeans, or grab your baggies, parachute pants or sweat/tracksuit and put on a fat gold chain. Because this event will be like a class reunion, but on steroids. 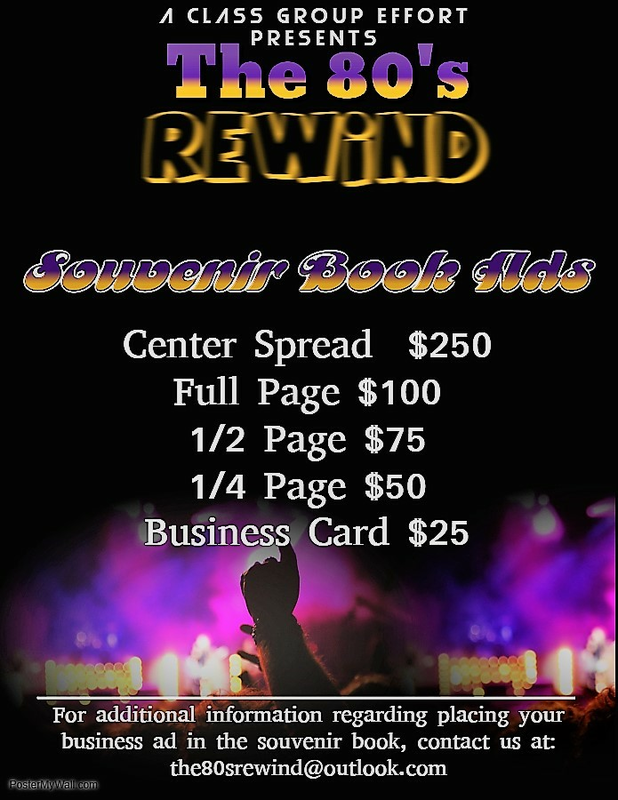 So tell a friend to tell a friend that the 80s Rewind, is a party to celebrate 1980-1989. This is going to be the event, that you do not want to miss. Entertainment will be provided by Professional Comedians and Musicians from the 80s. Food and Drinks (Alcoholic Beverages) will be provided. Don't delay purchase your tickets today. 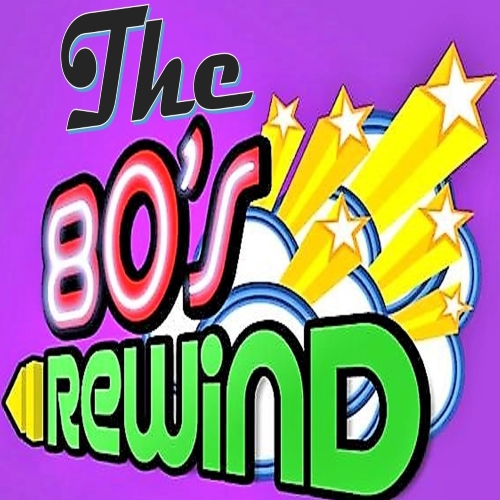 Friday Night 8pm- 12am - Theme: Wear your best 80's Costume! Prizes for 1st, 2nd, and 3rd place will be awarded. There will be a live band, Comedian Reginald Ballard "Bruh Man from the 5th Flo" (Martin TV Show) and a DJ. Light Appetizers will be served Friday night. Saturday Night 8pm- 12am - Theme: Dress to Impress! Hollywood/Cocktail Attire is preferred. So others can see you sparker and shine. 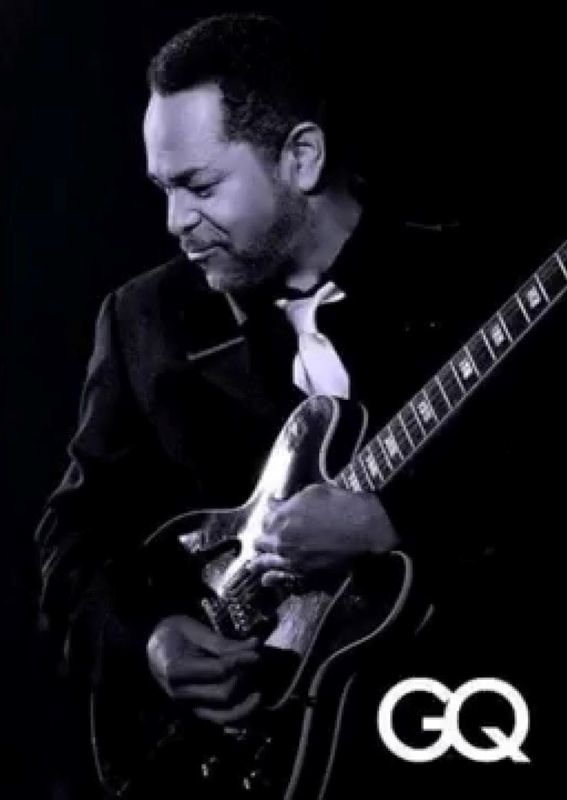 There will be live bands, DJ and the World Famous Music Group GQ will be preforming Disco Nights, Standing Ovation, Sitting in the Park and I Do Love You just to name a few. . Appetizers will be served Saturday night. 2 Drinks Tickets come with each entry purchase - brown bag also acceptable.